Tunisia is the smallest country in Northwestern Africa. Lying between Libya and Algeria, Tunisia is a typically Arab country and 99 percent of the people who live here are Muslim. Before the Arab invasion in the 7th century, Tunisia was part of the Carthage Empire, followed by the Roman Empire. 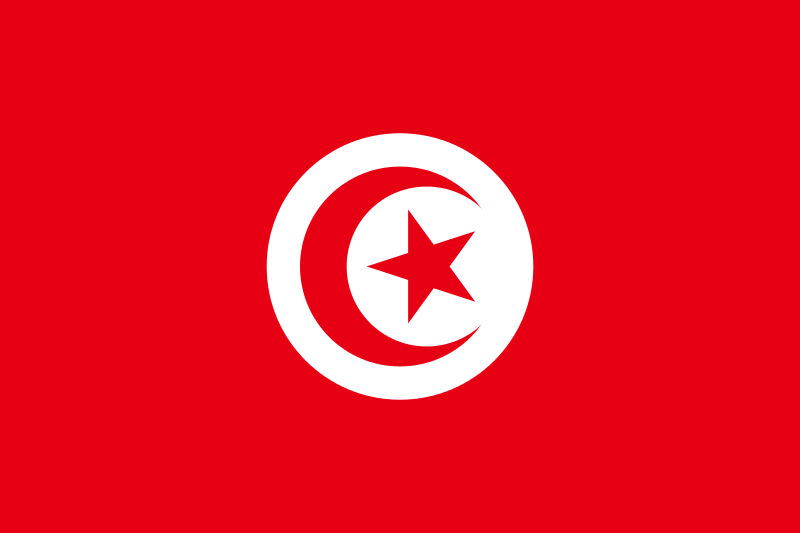 French forces colonized Tunisia from the 1880s through 1956, when Tunisia gained its independence. 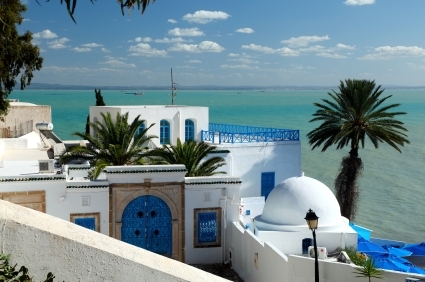 Tunisia has a warm, dry climate and many beautiful beaches. Tourists come for the scenery, lively market and good food. 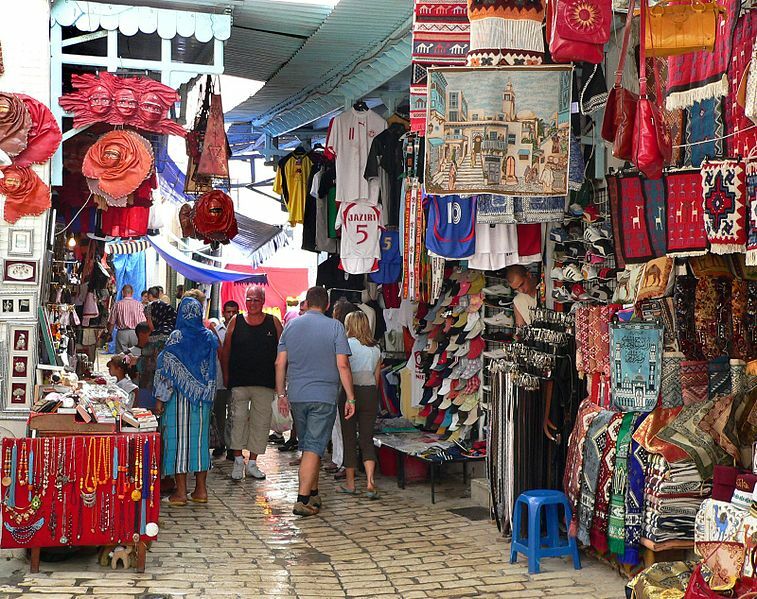 The souk, or market, is a noisy place, with winding streets and bright vendor tents. Here, you can buy anything from woven rugs to copper pots to fish and vegetables. Oil and natural gas were the main exports here until the collapse of world oil prices in the 1980s. Today, the country has many farms that produce citrus fruits, vegetables, grapes, figs and olives. Tunisia is the world’s fourth-largest olive oil producer. 11.66 million people live in Tunisia. Tunis is the capital of Tunisia. Beji Caid Essebsi is the President of Tunisia (data 2018). The country has 63,170 square miles of land. At 1544 m Chaambi Mountain is the tallest mountain in Tunisia. The Sahara desert covers a small part of Tunisia. Some people still live in under ground housing in an area called Matmata. The life expectancy in Tunisia is 75 years. 82 percent of adults can read. This is a video documentary about the culture in Tunisia. Question: What type of government does Tunisia have? Answer: After Tunisia’s independence from France in 1956, President for Life Habib Bourguiba ruled the country. He was ousted in 1987. Since then, the country has been working towards a multiparty democracy, although economic and political troubles have slowed progress. Here’s a map of the country of Tunisia and all its cities and villages. Zoom in to get into street level or zoom out to see other countries around Tunisia! You can see the terrain, but also see the roads, images of the buildings and even take a 3D tour through the streets of the cities of Tunisia, as though you are actually there! Enjoyed the Geography for Kids all about Tunisia info? Take the FREE & fun all about Tunisia quiz and download FREE Tunisia worksheet for kids. For lengthy info click here. Declan, Tobin. " Tunisia Facts for Kids ." Easy Science for Kids, Apr 2019. Web. 26 Apr 2019. < https://easyscienceforkids.com/all-about-tunisia/ >.